$25 Off Heating/Cooling System Service! At Adams Autoworx in Castro Valley we are big fans of Toyota Camry. Our goal is to provide Castro Valley Toyota Camry service that matches Camry’s legendary quality. To make your auto service and repair experience as hassle free as possible, we offer free pickup and drop off within Castro Valley, use original equipment parts when requested, and offer 36 month / 36,000 mile nationwide warranty on parts and labor. Our ASE certified master technicians can diagnose and repair any problem your Camry might experience. We use state-of-the-art software to access your car’s diagnostic computer. In reality, though, chances are we will be mostly doing factory scheduled maintenance and services – Camrys are legendary for their quality and trouble free operation. Brake pads replacements, tire rotation and replacement are the other services you may expect. 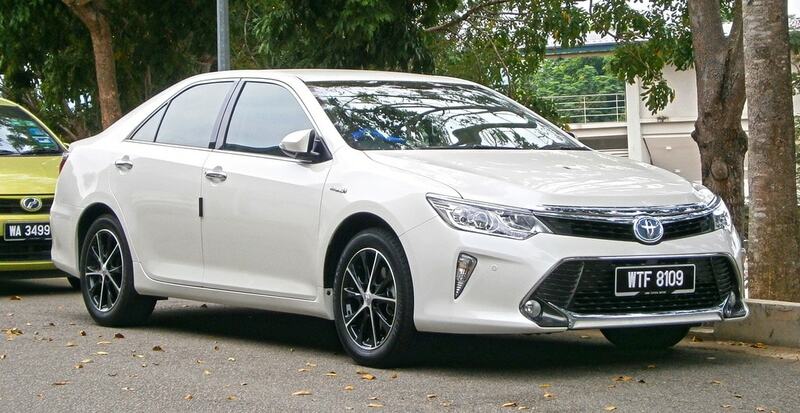 Other than that, as long as you bring your car in regularly for maintenance, you should experience years and years of uneventful Camry ownership. We do stress regular maintenance, since even Toyota Camry can experience an “off” year now and then. The most common problem reported by owners was that Toyota Camry 2007 experienced excessive oil consumption, and so did 2009 Camry. Given that we know that oil consumption might be an issue for a Camry, regular service is the best prevention. So when your Toyota Camry 3.5 liter V6, 6 cylinder gas engine needs a checkup, or you have any concerns about your Toyota Camry Hybrid, give us a call or schedule an appointment online. We are here 6 days a week to answer your questions, and to keep your car in top shape.